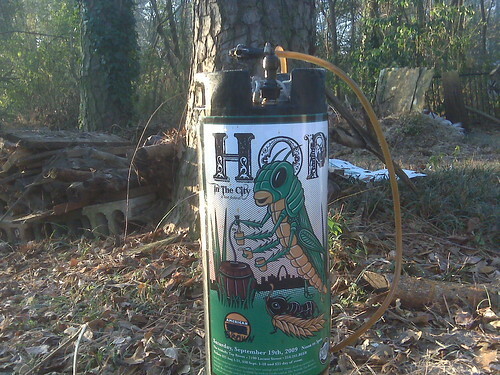 This spring, I was the glad recipient of hop rhizomes from two different locals. These are the basis for growing hop vines, which leads to the fragrant flowers that are medicinal and used in brewing beer. Thanks to local generosity, I now have 10 hop plants that span 7 different types! This weekend, I got six of the plants into the ground, with support strings for the vines to climb on. Already half of them are reaching up the string and growing a couple inches a day. Though most people say that I shouldn’t expect much from a first year harvest, I’m glad they’re getting established and growing quickly already. Hopefully they like it here! I wrote an article a while back on the impact of changing yeast choice on the economics of homebrewing. That certainly is a theme I’m brining into the blog and today I found some more goodies on the subject. "If you just want to make ales, you can break even after only four batches. Some starter kits are so cheap, you can break even after less, but the more ‘tools’ the more fun and the easier the job becomes." 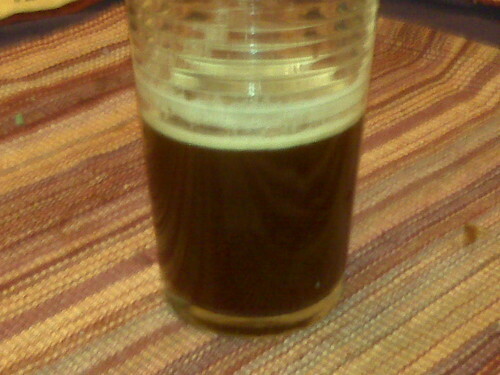 Note to self…using bourbon as an ingredient in beer does not improve the economics of homebrewing. Tirza and I started brewing beer this year. Homebrewing has been fun and satisfying thus far. While it is easier than I expected, it hasn’t been as economical as I thought it would be. That said, I wasn’t trying to brew beer to be as cheap as possible. Those first four batches were just whatever we wanted (in particular, America Pale Ale, Porter, Saison and a Belgian Dubbel). Now that I’m planning for making more batches (we have no more beers! ), I’m trying out a few new things and getting to understand the economics of beer making better. Three of our first four batches were made from ingredients all purchased at our local homebrew store, Hop City. It’s great to be able to stroll in with little knowledge of the task at hand or plan for a recipe and be able to come out equipped with everything needed to make a great beer! Definitely the way to start out. The batches I have made costed me between $35 and $50 (that gets about 45 (+/-5) bottles of beer ). By the time I factor in some equipment I figured it is averaging $1/bottle on average. I found a few new recipes to try this time around (different porter and scottish wee heavy, again driven by what I wanted to drink), but then started thinking about the future (my collection of fermenting equipment has grown so I am excited to have more beer around!). And with that I thought it worth looking into the economics. $1/bottle isn’t bad for tasty, local beer that I can even get on Sunday :). But it’s also about the same price as buying Sweetwater’s 420 in a six-pack (local craft brewer). Seems to me we could do better on the cost. Now, I’m a lazy brewer with a toddler spreading havoc around as I brew, so I’m happy getting only as complicated on brew day as it gets with partial mash (some grains and extract) brewing. The first topic of discussing more economical brew tends to go to the “all grain” topic (and the dream of buying bulk grains, milling them ourselves, etc). This is an area for more exploration, especially if more equipment shows up in our world. But as we are really nomads at heart (and live in a small house), we’re basically doing a minimal setup…I got no additional equipment for brewing day other than a spoon, thermometer, and mesh bag! More relevant are 2 factors we can control. The first is the recipe. I checked out Northern Brewer for the first time for this one. The convenience of everything online is big in my world, and they’ve got an extensive collection beyond what are local store provides. I found the shopping experience very easy on that site! By browsing through the “kits“, I was able to quickly get a sense of what recipes were more expensive than others. For example, everything you need for some of the IPAs and Porters are 60-100% more than a basic Stout or Scottish beer. All depends on what’s needed for the beer! In picking my next batch of beers, I went with 2 recipes that were appealing (one that sounded decadently delicious and the other an adventure in a beer area that I wasn’t too familiar with). For the third beer, I went with a recipe that sounded tasty but gave preference to economical. I ended up with the Caribou Slobber for that. Huge variability in yeast prices are an opportunity! Besides the recipe itself, one of the easiest ways to change the price of a batch of beer is in the yeast. There are basically two kinds you can get – dry yeast and wet yeast. When I started, I used the wet yeasts, because that’s what my local store had in variety. They come in a package that you smack to activate and then just dump in…super-easy. But when I ordered the kits, I had a choice with every one! Wet yeasts run $5-6+ each. Dry yeasts are usually $1-2. In other words, for the same ingredient, for one option you can pay 3-4 times the other option to get the same result. For the particular beer I ordered, getting the wet yeast over the dry would add 16+% to the overall cost of the batch! That was enough to get me looking into dry yeast more. And after some searching and reading in beer forums, it seemed that it wasn’t a big deal to switch (lots of hype about ease of wet yeast, but really dry yeast is simple!!). I ordered dry yeast for all of the batches. Using it was even easier than I expected (2 different yeasts, one which is just poured directly in without starting). And for the Caribou Slobber, I brewed a double batch and only purchased 1 packet of yeast, so saved another $1.45 there. All told, the Caribou Slobber should come out to about $0.65 per beer in cost of materials (and a portion of the shipping on the order). Not bad! The beer’s not done yet (has been racked already), but it’s fairly tasty already.